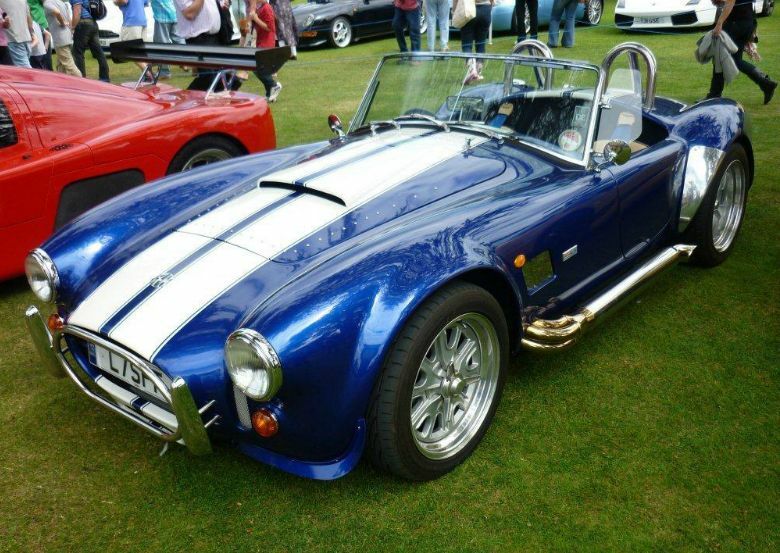 The AK 427 is a carefully designed replica of an iconic 1960s, open two seater sports car. The exterior paintwork colour is supplied in the customer's choice. 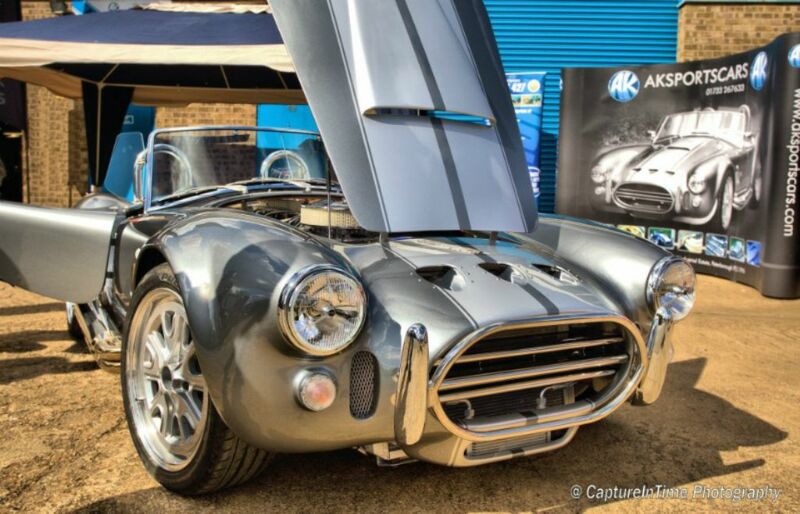 Standard specification includes: 17 inch Hallibrand replica wheels with spinners, a choice of stainless steel side pipes 4 into 1 or underfloor exhaust system, front and rear nudge bars with over-riders, stainless steel splitter wing, stainless steel single driver roll bar, aluminium stoneguards and stainless steel side vents. 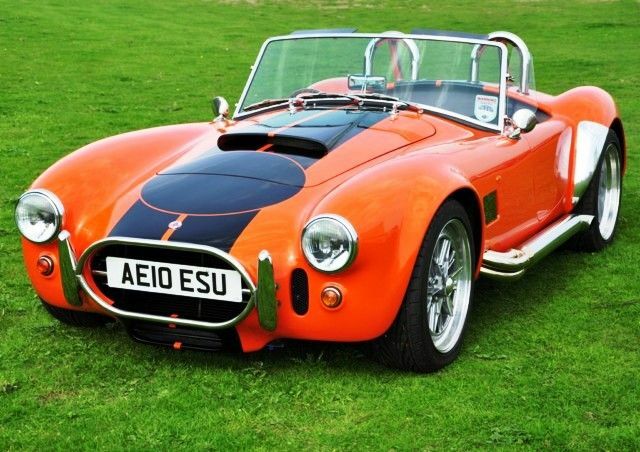 Standard interior specification includes: Andrew Muirhead leather interior to colour of choice, high quality carpets fitted to interior, including boot, three point Willans seat belts, Smiths Classic instruments, Mountney steering wheel, wind wings, sun visors and boot gas rams. Inside the engine bay can be found: re-built 350 Chevy 5.7 fuel injected engine, Getrag 5 speed manual gearbox, reconditioned/serviced axles front and rear, stainless steel engine bay cladding, stainless steel header tank, stainless steel washer bottle and bonnet gas rams. The AK 427 is also available as a self-build project.